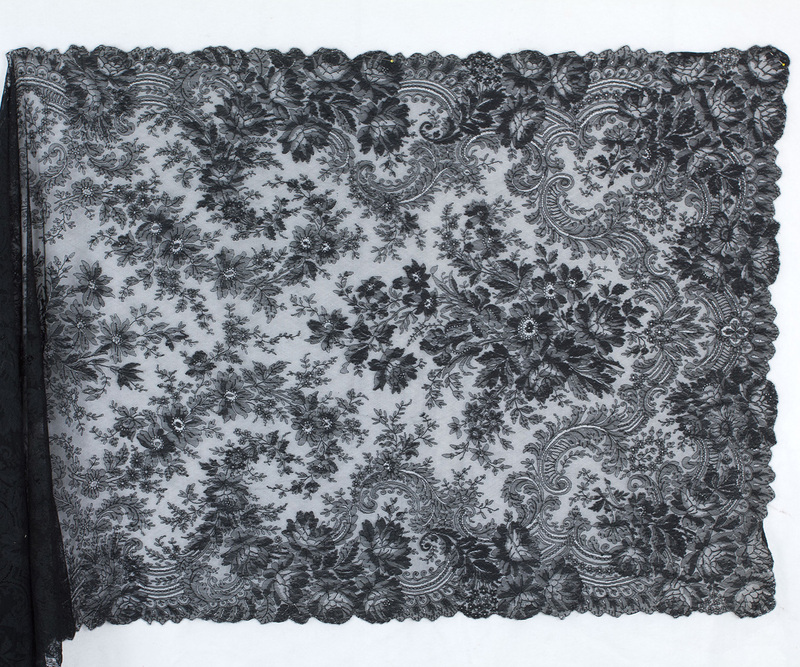 Black Chantilly lace has long been associated with romance and mystery. 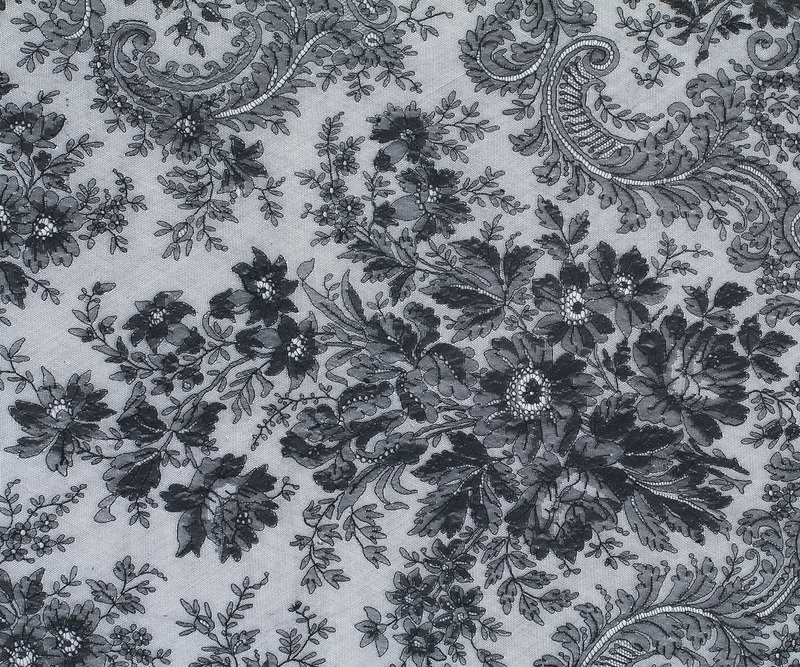 The intricate floral pattern is worked in very fine thread, curving to accommodate the shape of the pattern and intimating a rarefied, ethereal essence. 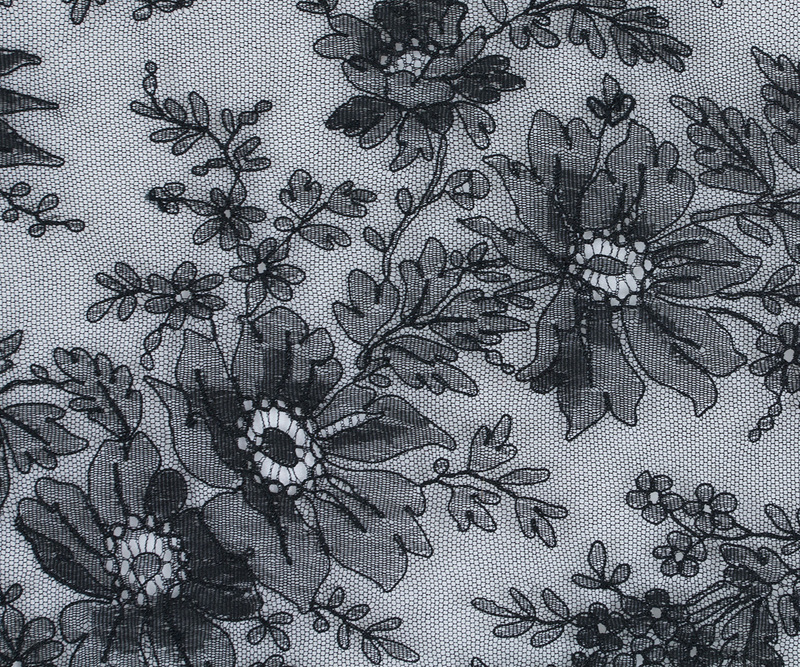 The grand scale of the design and the gossamer delicacy of the floral pattern are underlined by the use of black only. Color would distract from the sublime design. The long rectangular shape is more versatile than the square shape of preceding decades. 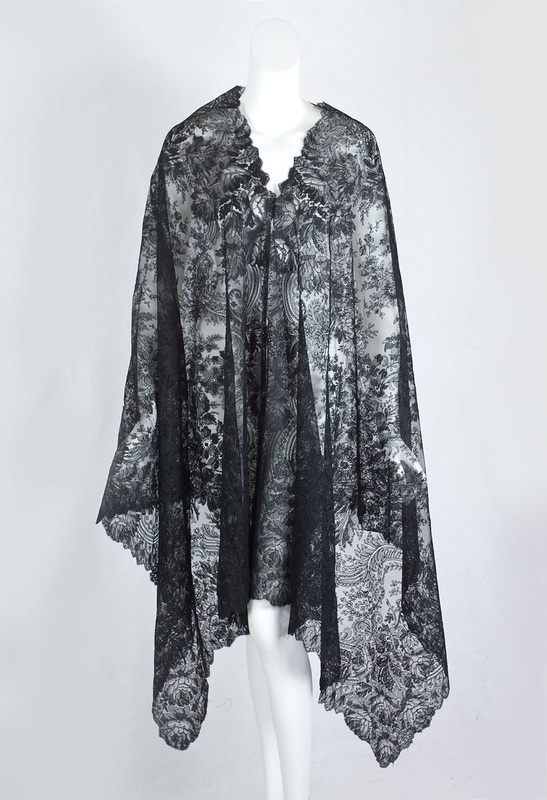 The shawl can easily be worn without folding, allowing full view of the intricate floral pattern. Fine lace needs no other accessories. 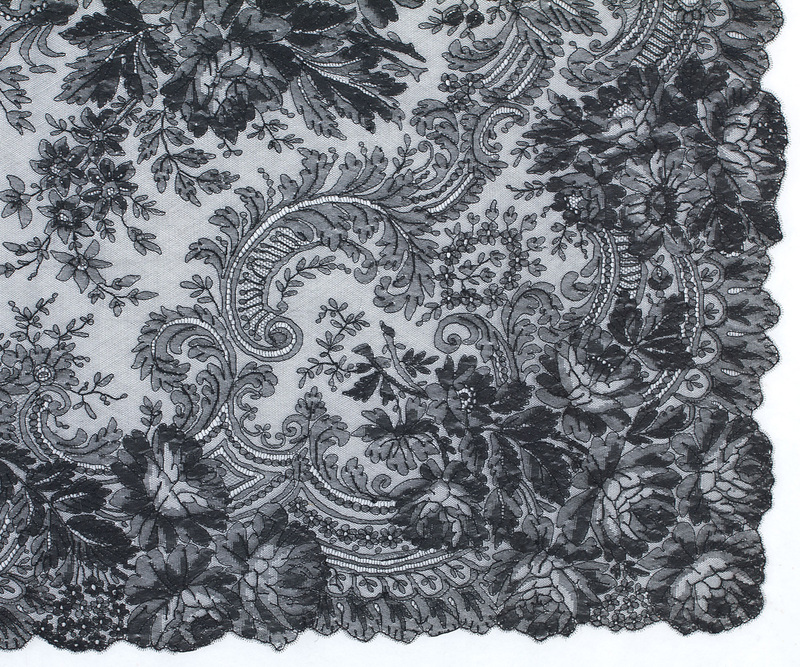 Chantilly lace has a proud pedigree in fashion history. On a state visit in 1855, the French Empress Eugénie, a paragon of 19th century fashion, dazzled the English court: she was wearing black Chantilly lace instead of jewelry. 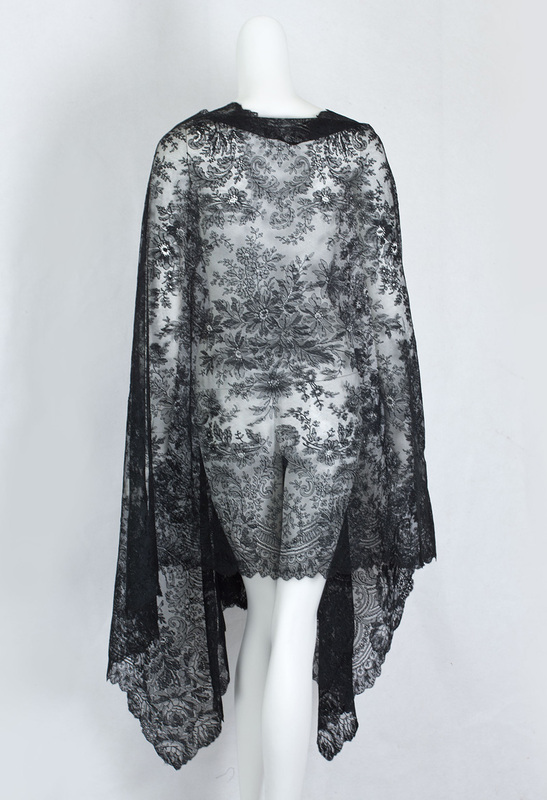 In our day, Chantilly lace is still used to make the ultimate public fashion statement. Think of the magnificent dress worn by Kate Middleton at her April, 2011 wedding to Prince William. Her Royal gown was made of modern French Chantilly lace and English Cluny lace. Kate Middleton's dress cost $390,000. It measures: 37" wide by 86" long.